Relaxing, Peaceful, Safe & Secure, Spacious 1100 sq. ft. of Privacy & Comfort. Convenient & Accessible: Walk to the Marina & Beaches, just 2 miles to town. Great Sea & Mt. Views. Affordable, Comfortable, Spacious, Fully furnished, 1,100 sq. ft. 2nd Floor 2BR/1BA CondoApartment w/Balcony and Deck. Full Service Kitchen. San Felipe Travel & Info Guide Available with directions to the CondoApartment, Places to Go and Things to Do. The Condo is located in Playas De San Felipe Area, just 1.5 miles south of town where beaches are clean and pristine. Panoramic Mountain Views can be seen from all bedrooms. Gorgeous sea views can be seen from the Living Room and the Balcony. I'll just start of saying Mina, the host and Lupe, the onsite manager were super helpful and responsive. Only a couple of points to make - if you go during the winter and during a cold week be aware there is NO HEAT in the unit. Supposedly that is common in San Felipe but wish we had known beforehand. Lupe did provide us with a small heater to heat the bedroom before we went to sleep but the rest of the apartment was pretty unbearably cold. After a day out and about, you would like to be able to relax but you couldn't since it was too cold to just sit on the couch. We basically had to shut ourselves in the bedroom with the heater to keep warm. Second point - make sure the hot water heater is turned on when you first get there. There is mention in the apartment guide about opening the water valve but heater wasn't actually turned on to begin with. We got there later in the day and didn't realize the hot water heater wasn't turned on. Tried taking a shower that night but there was no hot water. Not wanting to deal with it at 10pm and thinking that maybe other units used up the hot water I decided to just wait till the morning. Morning came and still no hot water so I did some more investigating and messaged Mina before realizing the heater wasn't turned on. Of course, now we had to wait a couple hours for the water to heat up. The apartment is nice and the location is convenient so as long it is not too cold it is a good property to stay at. Thank you for finding the condoapartment nice and convenient were it not for the sunny but cold 60's F reflecting the unusual cold weather nowadays in Southern California. Typically during winter, San Felipe is in the 70's F and low 60's at night. My apologies that Lupe failed to turn on the hot water. I will have to remind her to turn it on 2 hours prior to guest arrival. Excellent location, nearby beach access, near town, perfect for a getaway. The tourism guide is great and comprehensive, but may need a little updating. We noticed some stuff was closed for good/for the season. The stove has an electrical problem, some of the burners short out. May need to be looked at for safety reasons. Thabk you Olga for your feedback. We are glad you enjoyed our Condos and convenient location. Thank you for informing us to check on the stove burners. We had a positive experience hosting you and you are always welcome here. The condo was clean and welcoming. Lupe was friendly and accommodating. We particularly like the large shower and washer/dryer. Location is convenient to most everything. Over all a nice experience with a nice view! Good location, Views, Comfortable, Great Value! Exceeded my expectation considering the low price. Will definitely return again. 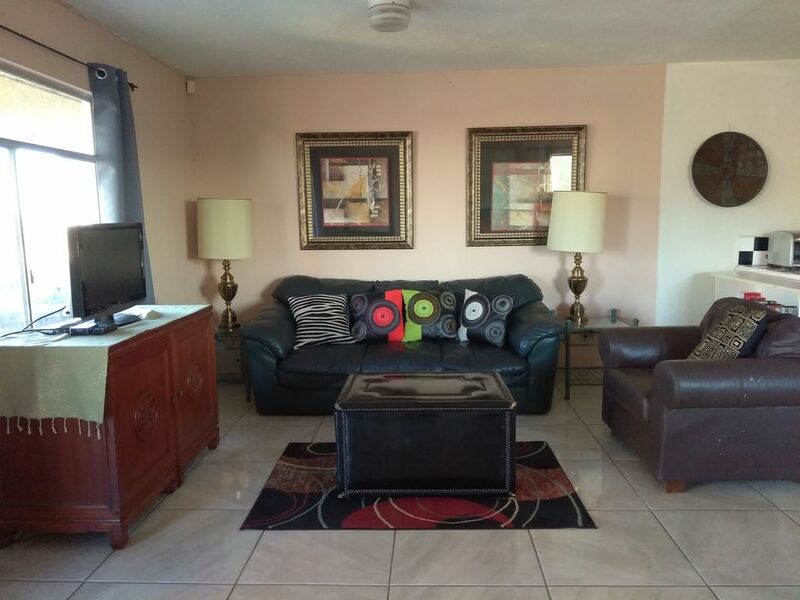 Condo is very spacious, clean, comfortable and is in a good location and we felt safe. Modern amenities such as city water, hot shower and airconditioning added to our pleasant stay. We enjoyed gorgeous water and mountain views from the living room and balcony. Host and onsite assistant were very helpful. Their travel guide provides excellent information on things to do and places to go. The Condo is walking distance to the beach and the marina. We enjoyed walking to downtown San Felipe from our Condo, about 2 miles. Highly recommended. Upon reservation, we provide you with our Travel and Information Guide to San Felipe with directions to our Condos. Some of the attractions include Giant Cactus Garden, Puertocitos Mineral Spring Bath, Great Fishing, Boating & Water activities, Clamming, Shellling and much more.